Everyone knows someone with arthritis. It affects more than 50 million Americans, including 300,000 children. People with arthritis are warriors - they face relentless pain, a frustrating search for a diagnosis, multiple doctor’s visits and treatment, missed work and school, limited mobility, a maze of medical and insurance paperwork, and the desire to live a full life without the limitations that arthritis creates. 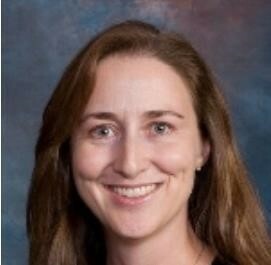 Dr. Erinn Maury feels privileged that the Arthritis Foundation Maryland market has chosen her to be medical honoree for this year’s Walk to Cure Arthritis - Annapolis. She became a rheumatologist because the field interested her in so many ways; from the patients to the science behind it all. People with arthritis and autoimmunity may look normal on the outside but continue to struggle with symptoms despite so many good medications. Her patients amaze her every day with how much they accomplish despite their major medical issues. They are truly inspiring. Dr. Maury’s goal is to raise awareness of the struggles of all patients with arthritis and autoimmunity. The Walk to Cure Arthritis is the largest gathering of the arthritis community in the world, raising funds for research, resources, better treatments and a cure. 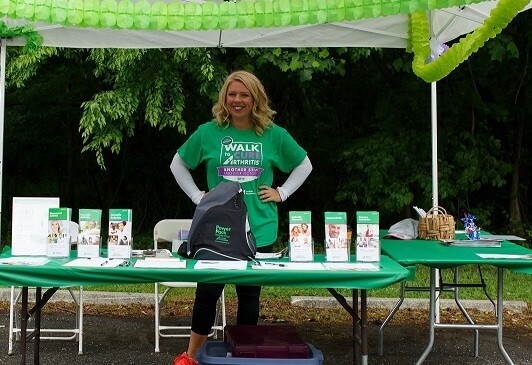 More than just a walk event, it’s something even bigger than arthritis itself. She has joined the movement to improve the lives of arthritis warriors, will you be the ONE to step up and help her? Click here to support Dr. Maury or join her team today! Through a series of mis-diagnoses throughout her youth, Katie Roberts was finally diagnosed with Psoriatic Arthritis at 17. She remembers the moment vividly. At a discovery appointment, a Rheumatologist reached for a medical book and thumbed to page 386. He said to her, “This will be you in less than 3 years,” as he pointed to a picture of a cadaver in a casket. Up until that “death sentence date,” she had been diagnosed with growing pains, patella femoral syndrome, and told that she needed to toughen up, and other familiar tales. Treatment consisted of heavy steroid injections, gold shots, extremely high doses of methotrexate, and light box treatments. While she was focused on making the most of what life she had left, she received a call from NIH inviting her to participate in a protocol. While that study, and others, didn’t pan out, she stayed in touch with her NIH doctors, hoping every day for a miracle. Three years came and went, and while the disease continued to chip away at her immune system and physical body, she still managed to defy the odds. Fast-forward to the age of 26, when she received a call from NIH inviting her to participate in new study focused on a new biologic – a study that was partially funded by the Arthritis Foundation for a drug now known as Enbrel. Back to a familiar routine, NIH once again became a second home to her. At the time of the study, she was bed-ridden, using assisted devices and a wheelchair. She experienced a rapid decline in quality of health through her early-mid-20’s and had amassed 50+ surgeries and procedures trying to salvage her joints and organs (heart, lungs, kidney, liver, colon, etc.). Within 6 weeks of her first Enbrel injection, she was walking own her own, and eventually regained strength and confidence. Now in her early 40s, she is proof of the arthritis warrior spirit… and her life motto, “go, fight, win.” She’s continued Enbrel since her first injection 16 years ago, and she can honestly say that it saved her life. She’s turned a terminal illness into a lifelong mission to ensure no one else has to endure her experience. While she has accepted the disease as a part of her, you will never hear her reference her diagnoses as a struggle or a fight, but simply fuel to make a difference at large. For Katie to continue to defy the odds, she understands that she needs to not only become her own patient advocate, but to use her “go, fight, win” story to advocate for others as well. She’s an example of taking a seemingly tragic event and turning it into a teaching opportunity for others. As an Arthritis Foundation ambassador, she champions on behalf of arthritis warriors to ensure access to care and patient rights are at the forefront of conversations that can impact the greater good.